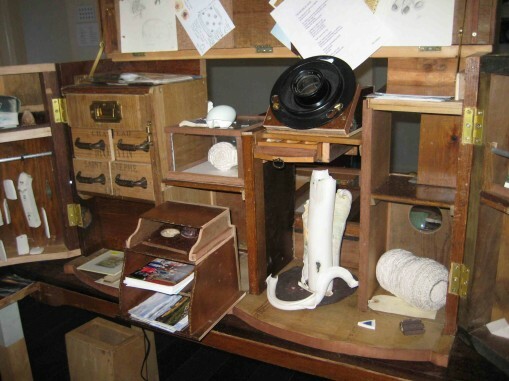 As part of Heritage Open Weekend, artist group re:collect will be opening up their Cabinet of Curiosities for display inside the Unitarian Church, Shrewsbury. The Cabinet is a touring artwork made from recycled furniture and contains small pieces of art made by re:collect in response to the Church setting. The Cabinet has a variety of tiny spaces and secret places for visitors to discover the contemporary artworks and artefacts hidden in drawers or playing on miniature screens inside. Since September 2014 I have been a full time artist. I produce sculpture and installations exhibiting locally, nationally and internationally. I am a member of the artist group re:collect; contemporary artists working in a heritage context.